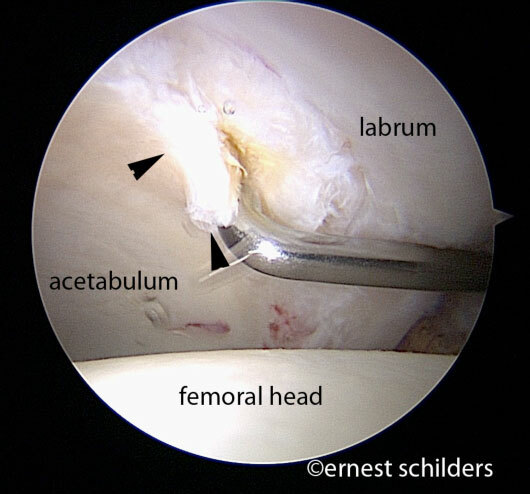 Femoro acetabular impingement of the hip is a relatively newly-recognised condition and occurs from a combination of abnormalities of the femoral head/neck and/or the acetabulum. FAI concerns a large group of patients who, for years, have been stigmatized with unexplained groin/hip pain. 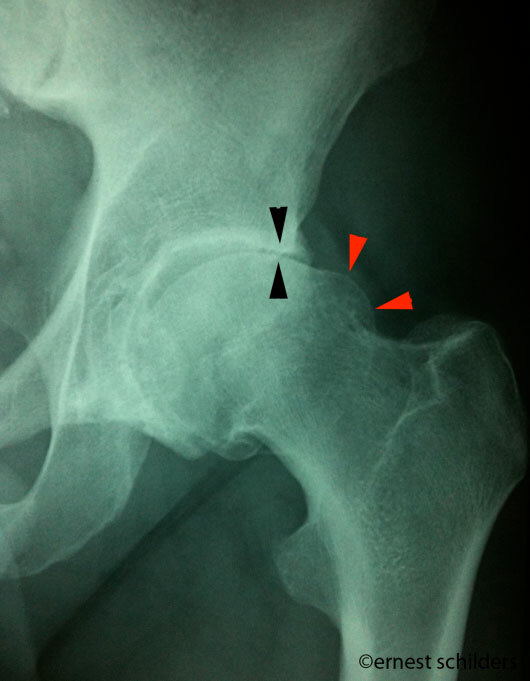 FAI has currently been accepted as the primary cause of osteoarthritis of the hip. The hip is a ball and socket joint and in the ideal world, the ball is perfectly matching the socket. However, with hip impingement, the excess of bone on the ball and the socket side is responsible for abnormal contact during hip movement. 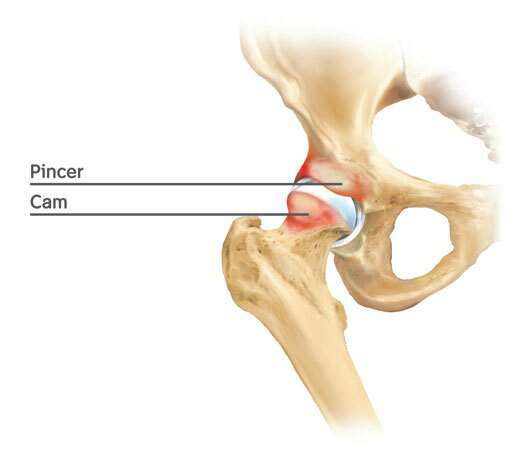 There are 2 mechanisms of impingement: cam and pincer. Cam impingement is characterised by a bony prominence (bump) on the femoral neck, which impinges on the acetabulum when the hip is flexed and internally rotated. 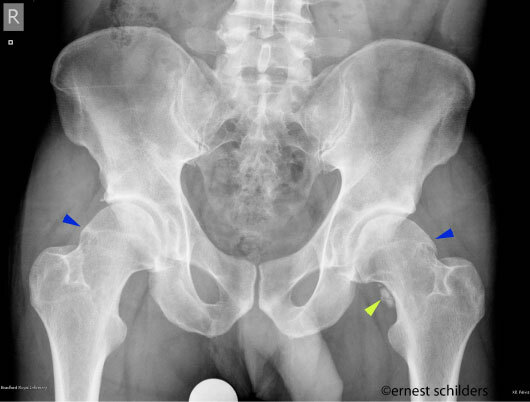 Pincer impingement is characterised by acetabular overcoverage of the femoral head. With flexion and internal rotation the acetabular rim and labrum are jammed against the femoral neck, causing predominantly damage to the labrum. 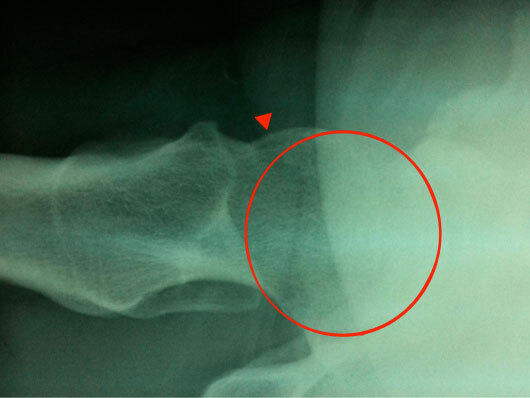 Mechanical failure of the cartilage can occur as a result of the chronic shear forces seen with cam impingement. The articular cartilage injuries we see with femoroacetabular impingement are quite typical and progress through different stages. The first stage is the wave sign. This represents a mechanical failure of the superficial tangential layer of the articular cartilage and we can find a zone of unstable cartilage. 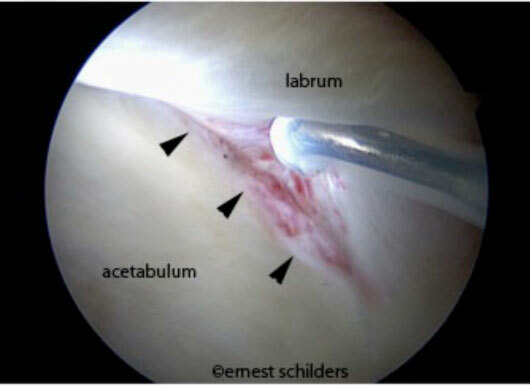 At this stage, a separation of the articular cartilage and the labrum can occur. 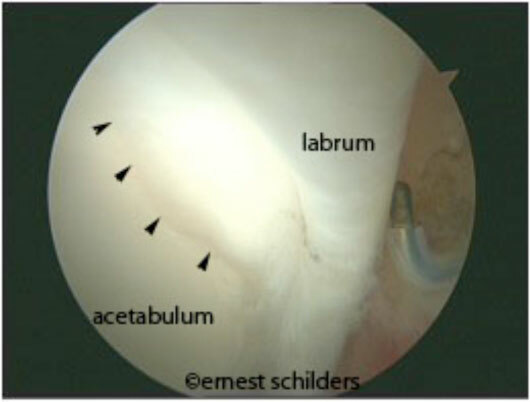 This type of tear, a labral detachment, is the most common type of labral tear typically occurring with hip impingement. 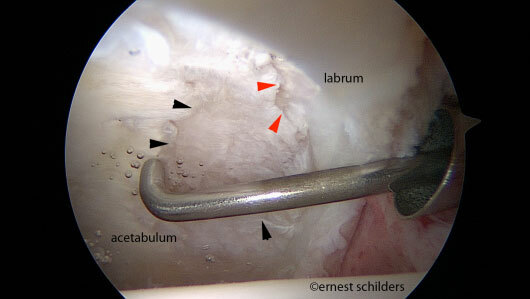 The next stage of articular cartilage damage is a partial thickness delamination. 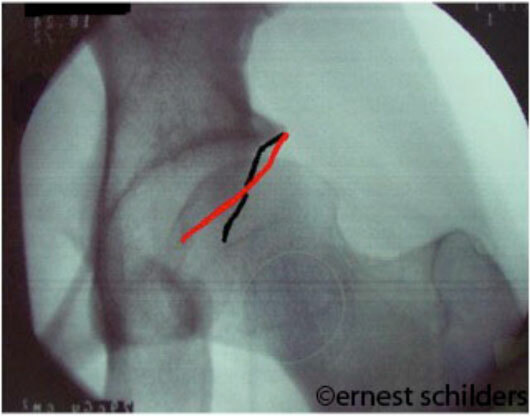 With a full thickness delamination, the subchondral bone is exposed. The larger the cam deformity, the more extensive the cartilage damage. Very often we find large areas of cartilage damage or even the onset of osteoarthritis. There is growing scientific evidence that FAI will lead to osteoarthritis of the hip. Early detection and treatment of this condition can potentially delay the need for hip replacement. Groin pain or pain over the anterior side of the thigh. Difficulty putting on socks and shoes and gradual stiffness of the hip. Pain with prolonged sitting or driving. A tendency to walk with the foot in an externally rotated (outward) position. Painful clicking in the hip. Adductor symptoms (pain on the inside of the thigh). A gradually reduced range of motion. The diagnosis can be made with clinical examination and X rays. The X rays will help us to define the type of impingement, but can also reveal the presence of mild or more advanced degenerative changes of the hip. With advanced degenerative changes and osteoarthritis of the hip, arthroscopic treatment is not successful, therefore staging is very important, in order to give the right expectations to your patient. 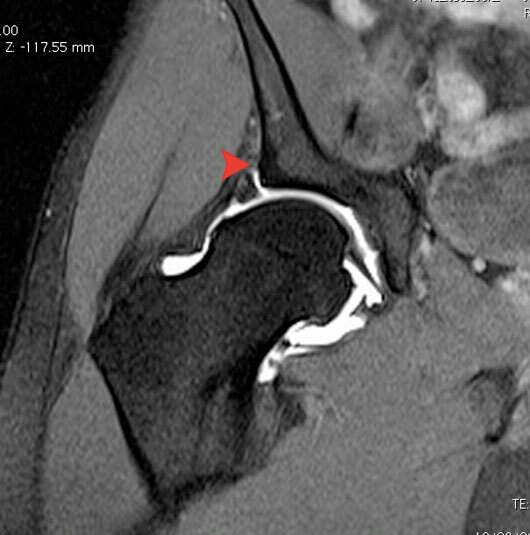 We use an MR arthrogram to diagnose labral tears and articular cartilage lesions associated with impingement. The sensitivity for articular cartilage lesions is not very good and a wave sign cannot be picked up on the scan. However, the presence of unstable cartilage can be suspected when the patient’s pain disappears following the administration of a local anaesthetic for this investigation.